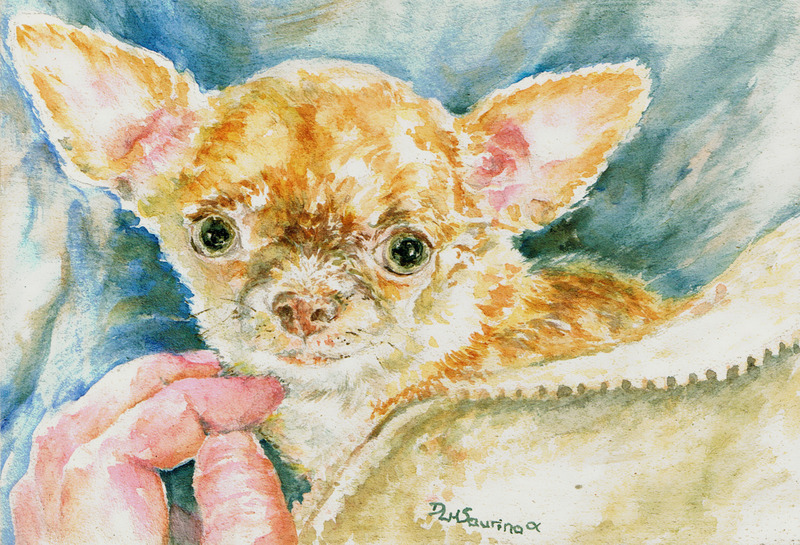 This mixed water-media mini panel depicts a delightful patient after recovery from surgery. She was so tiny, our vet tech tucked her into her jacket to keep warm. 5" x 7.25"6" x 8.75"7" x 10.25"8" x 11.75"9" x 13.25"9.5" x 13.75"